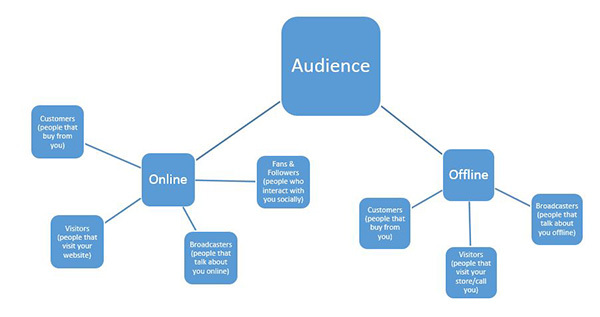 It goes without saying that online audiences differ from offline audiences. Sometimes there can be vast differences and sometimes they may only be slight, however it is important that as digital marketers, we understand these differences when planning online strategies. A company which understands the differences between their online and offline audience, and has used this as a key factor success driver of their brand online is Boots. With a 160-year history and a portfolio of over 2500 stores nationwide, Boots is the leading pharmacy-led health and beauty retailer in the UK. In 2003 their online shopping channel was renamed Boots.com and the eCommerce business has become an increasingly important and successful part of the brand. Identifying the different audience ‘types’ and how to speak to and engage with them online, has driven the Boots.com eCommerce site to become the innovative portal that allows customers to shop with Boots whenever, however and wherever suits them best. In this blog post we are going to look at some of the tools that we can use to find out more about the Boots online audience and understand their behaviour better. State of Digital have identified that both offline and online audiences can be broken down into audience ‘types’, which include people that buy from you, people that visit you, and people that talk about you. An individual’s customer journey may mean that they fall into all of these categories during one transaction, or they may just fall into one specific category. We can use the theories behind these audience ‘types’ to get to know each member of the Boots audience better. By understanding their behaviours and what drives them to the site, this allows us for online strategies that are tailored to their needs, which in turn increases conversions. So, what can we learn about each of Boots’ audience types? Building a good picture of who our online customers are allows us to begin to differentiate between them and our offline customers. We can use YouGov Profiles, the new media planning and audience segmentation tool created by YouGov, to create a rich and detailed portrait of Boots customers both online and offline. The above images show the YouGov Profiles for customers of Boots, and also those who buy online at Boots.com. We can see the demographics for both categories differ greatly, with age and monthly spare cash being the most different. This clear gap between the online and offline customers allows us to think about what Boots could do to drive some of the offline traffic to the website. For example, as we can see that offline customers of Boots are predominantly older women with an interest in healthcare and pharmaceutical products, Boots.com could have a clearer focus on this as the current website homepage is dominated by beauty products and offers that help to drive visitors to this department. This may see a shift from many small transactions to fewer, but potentially much more profitable conversions. These are the individuals who visit a website and don’t convert. There are several reasons why your visitors may not become your customers; they may be conducting research into a product and not be at the right stage to commit to purchase; they may find the product they want, but not at the right price, or they may not find the product that they are looking for on your website at all, to name just a few reasons. It is essential that our digital content strategies reflect that what we know our audience members want or are searching for. It is evident that “visitors” may be reflective of huge proportion of Boots’ offline audience, predominantly not as digital savvy and confident when buying online. For them, the site acts as a research tool which arms them with information before visiting physical stores. Both on and offline, Boots have been experiencing increased threats from competitors who are preventing visitors from making the transition to customers. For example offline, competition from mixed-goods discount stores like Poundland and B&M Bargains are growing fast, providing alternative channels for shoppers seeking mass-market beauty and toiletries products at low prices. 12 million people per quarter now buy health and beauty products in bargain stores compared with 16 million in Boots – and this gap is narrowing. Online, competition is even tougher. Internet-only retailers are further price-competitive rivals, providing particular opportunities for shoppers to buy off-price prestige beauty products (Mintel, Beauty Retailing UK). This can easily be seen in the depth and breadth of Amazon’s online branded offering. Online price comparison sites and tools are making consumers price savvy and other beauty retailers are leading the way with technology and incentives. The Fragrance Shop and Sephora offer “try before you buy” samples with online orders. There’s also photo upload technology, as used by The Body Shop and Topshop, which represent pioneering marketing techniques that the forward-thinking consumer won’t ignore. Using the YouGov Profile of the Boots.com customer we can start to consider exactly what they may be looking for when visiting the site, and use this information to ensure that the Boots website has the content the customer is looking for. The YouGov Profiler identifies that beauty and grooming is top of the main interests of those who currently shop on the Boots website, so this department could be further enhanced by making the customer reviews more prominent (such as by displaying actual review quotes in addition to a star rating), or producing beauty and grooming tutorials on best-selling or new products. With this type of audience, the more interactive and informative, the better. Broadcasters are the people who are talking about you online, having seen successful PR activity or having been given recommendations from their online following to try your brand or product, but they are not necessarily your customers or even visiting your website to purchase… yet. They are your online influencers, the individuals who have the power to give your brand the exposure you need, or in other words the basis of your earned media. Broadcasters are often leading bloggers, journalists or industry specialists who are selective about the brands they do and don’t associate themselves with. Boots have long been able to conduct successful influencer outreach with the strength of their brand behind them and standing as sole distributors of innovative product ranges. This is an area where they are able to successfully target both their offline and online audience, with universally attractive brands such as No.7 at their disposal which are differentiated for distinct audience age groups. For example, the No.7 ‘Protect and Perfect’ cream range became a worldwide “cult product” off the back of a hugely successful integrated PR push targeting key publications offline, leading beauty bloggers online and broadcast media such as BBC Horizon. It created such hysteria that the cream is now sold once every seven seconds. Social ‘listening’ tools, such as Nuvi, and social media analysis tools including Followerwonk, Buzzsumo and Topsy can be used to find these influencers and brand advocates, who are some of the most important people to focus on in our online strategy. Combine this as part of a multi-prong approach to PR and influencer relations. The fans and followers on a brand’s social channels give us fantastic insight into their audience. Most social media platforms have their own insight tools which can offer clear information on the demographics of fans and followers, as well as their online conversations and overall interests. This information should be used to shape your content strategy online across all owned and rented media. Analysis below of Boots’ recently re-launched Twitter account has revealed distinct similarities to the YouGov profile; they’re beauty and appearance driven, savvy social media users and place big importance on their family circle. Many followers even work within the beauty industry, meaning that they are keen to hear about new products which they can recommend to their customers, with the potential for future conversion opportunities and social audience growth. It is important to nurture this group, in order to prevent a loss of customer loyalty, despite whether they are frequent customers or not. Many may covet aspirational products from Boots so may already be in your sales funnel, and more than likely will be Advantage Card customers, who wish to shop with a brand which values and rewards their long term market. Previously identified as a weakness of Boots, they have been using social media to transfer a more tailored, personalised service which they are famous for in store. @lisamichele21 Oh so are we Lisa! It gives you such a flawless yet natural finish thanks for sharing! Having recognised a fan/follower of the brand, Boots are quick to provide a personalised response which makes the customer feel valued, and likely to continue spreading word of mouth in the social sphere. Little touches like the use of emoticons also proves that they know who they are speaking to, and how to talk to them on their level. Following the brand’s Twitter hiatus, it is encouraging to see how proactive they are using the medium, and working in collaboration with their other social media networks will allow them to stand in good stead when bridging the online:offline customer relationship gap. From utilising just a few industry-leading tools, we have a much better understanding of who the Boots.com audience really is, and how good they are at reaching them. We could use this data to break the online audience down even further into ‘personas’, which take into account the true diversity of the Boots.com customer base and allow for greater sophistication in targeted marketing, including content, PR, social and SEO. Ultimately the goal is to build a marketing strategy that fits and appeals to each of the audience ‘types’, ensuring that relevant customers are driven to the site, fed applicable content so they’re more compelled to convert and in turn talk positively about the brand online.